Happy New Year, beloved readers ! Hope you all had a wonderful New Year week end. We had a fun time with some great friends and lots of good food. The weather here is unusually hot for January in Colorado.Though I am relieved that I don't have to drive on icy roads, I'm a bit concerned about this weird weather change. This is the cake I made to welcome 2012. 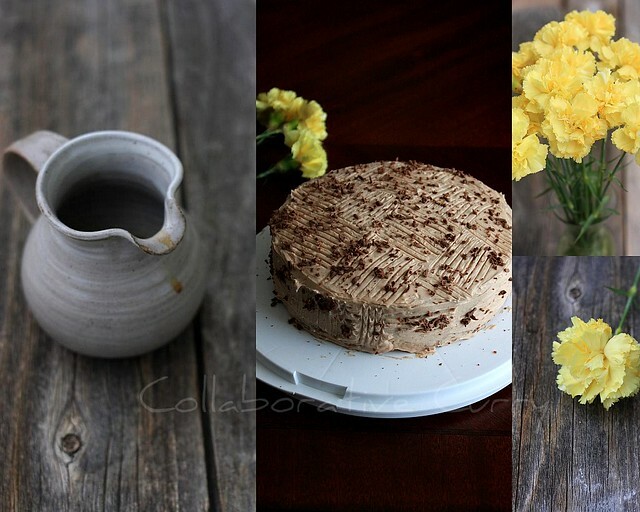 Everyone in my small family loves it and so do I.This is not the first time I'm making this cake.Though the flavors of cocoa is subtle in this, it creates pure magic with the coffee flavor. 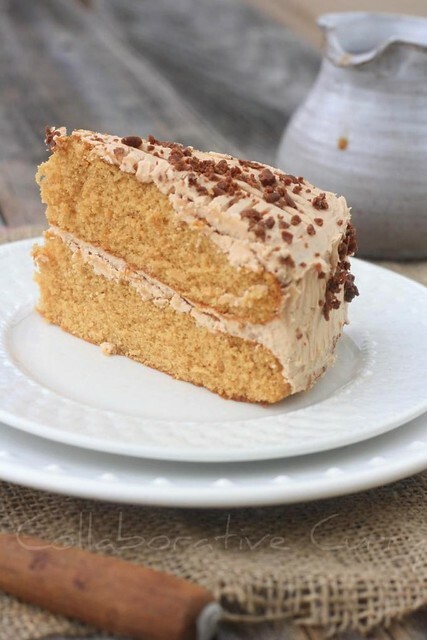 Even the people who are not crazy about coffee will love this, since the coffee in the cake is not overpowering or edgy.You could imagine how good it is, when I say that even my 3 1/2 year old, who is super picky on cakes, loves this.I hope you will try it,and wishing your family will love it too,and if you love it like me, it will sure be a keeper recipe. I wish you all remain happy and peaceful in this new year . Like lil M says : "Mamma, be happy because that is good for your heart". Have no clue where he got this scientific connection ! Happy 2012, folks ! 1.Preheat the oven at 375 degree F.Line two 9 inch round pans with parchment paper and grease them by spraying oil on the bottom and sides. 2.Cream the sugar and egg yolks until you get a creamy light yellow mixture. 2a..Whisk the egg whites with the cream of tartar till stiff peaks are formed. 3.Mix the coffee granules with cocoa powder and add the warm water. Mix well and get rid of lumps, if any. 4.Pour this into the egg sugar mixture along with the oil and beat well to mix. 5.Sift the flour and baking powder over this bowl with sugar mixture. Stir using a wooden spatula until everything is blended well. 6.Fold in the egg whites into this mocha batter until no traces of whites are seen. 7.Divide this among the pans and bake for 18-20 minutes or until a tester inserted comes out clean. 8.Cool the cakes in the pan for a few minutes and then turn them on to a wire rack and cool completely before frosting. 9.To make the frosting, beat the butter and sugar until smooth.Start with a cup of sugar and gradually add the rest of it to incorporate. 10.Mix the cocoa powder,kahlua/coffee granules(mix with a tsp of water if using granules) and vanilla extract with the frosting. 11.Place one cake on the plate and spread 1/3rd of the frosting on the top.Keep the other cake on top and spread the frosting using a spatula/ butter knife. Frost the sides too. 12.I have decorated just like the original recipe suggests. 1.If you do not have cream of tartar you could substitute with either white vinegar or lemon juice, but you must use about 2 tsp of vinegar or lemon juice. I have tried that once. wish you two a very happy new year. lotsa love to the lil ones. the cake looks gorgeous. My Oh My.. the cake looks wonderful! Totally love it! this is the most enticing thing to me...coffee cake with coffee frosting!...heaven! Mocha cake looks so awesome...the coffee-choco combois fantastic on anything...Happy New Year!! Thats such a lovely cake. The weather here in Munich is also quite warm for this time of the year. Wonder whats gonna happen in the future!!! Amazing cake, love Mocha cake. Looks super yummmmmm!!! Love the flavor..cake looks super tempting..Happy New Year..
awesome cake... perfect for the new year! Have a great 2012. The Mocha cake looks simply awesome. Lovely, soft cake and that too mocha flavor which I love. 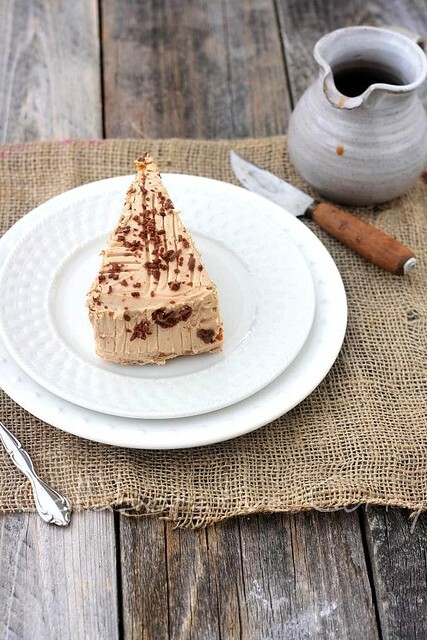 Coffee in a cake, it cannot get better. Lovely! Just mouthwatering...looks so yummy & delicious! Awesome cake Namitha! Love the flavor and wonderful clicks as usual. And you're not the only one wondering about the weather. Just the other day we were discussing about how warm this winter has been. Let's hope for the best! Winter is not soo chilly here too,no snow in London this time,enjoying the warm winter but I wish it would snow atleast once for the sake of lil A.
I have been wanting to make Mocha cake for a long time now. This sure make me drool. Very tempting....love mocha flavor...beautiful clicks. Such pretty cake. Love the cocoa/coffee combination. Yummy. Looks super tempting and yummy...Awesome clicks..
Wow!Loved the combo of flavours!!! happy new year to u as well & great cake to begin a sweet year..love the simple yet attractive decoartion on the cake! Beautiful click love the rustic background. Superb cake. I'm definitely adding this to my baking list.